Antique (1910-1919) Johnson Brothers Brittany hand-decorated vegetable platter. Art-nouveau black orange border, buttercups pink flowers. 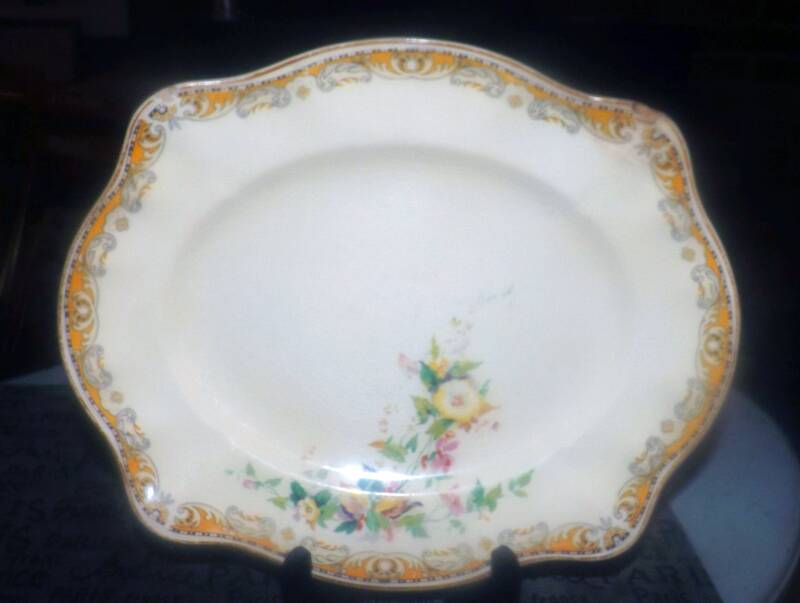 Antique (1910-1919) Johnson Brothers Brittany pattern hand-decorated vegetable serving platter. Art-nouveau black and orange scrolled border band on a cream ground with yellow buttercups, pink flowers, greenery and a scalloped, mustard edge. 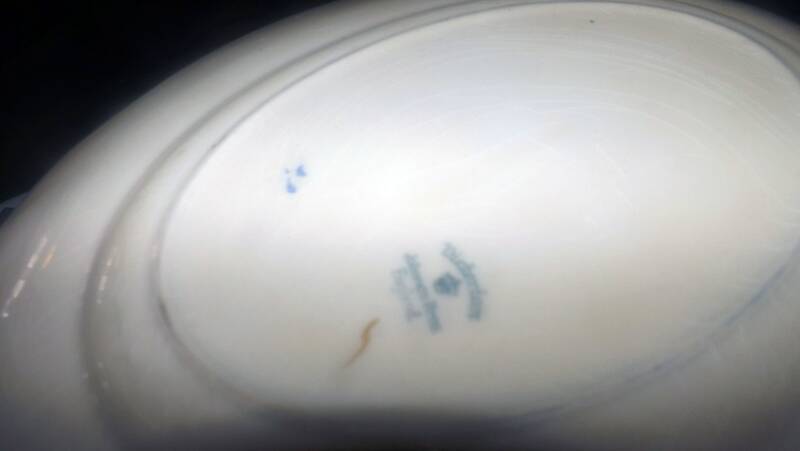 Very hard to find, this Brittany platter is in GOOD! 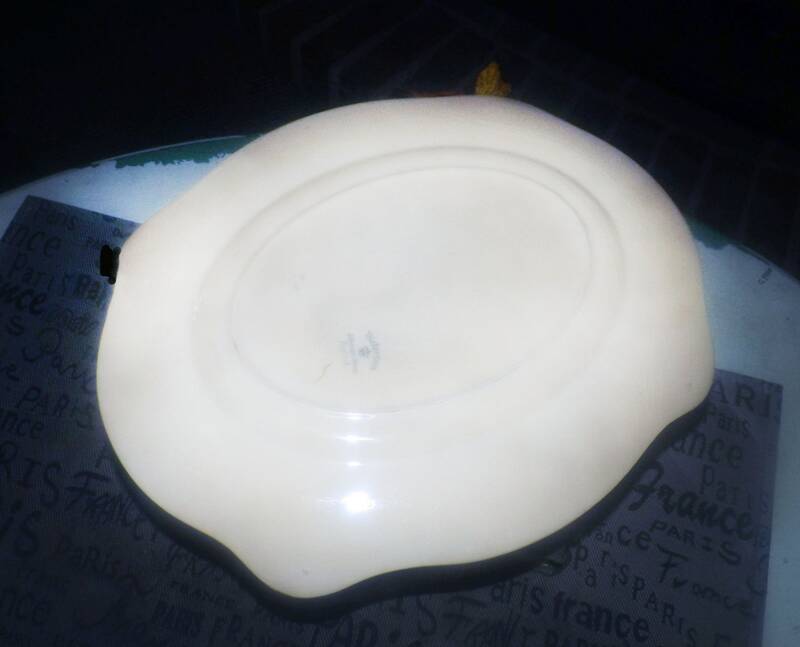 vintage condition, there are two nicks to the edge on the front of the platter (please refer to each of the posted photos for a complete visual of the item). Otherwise, there are NO! 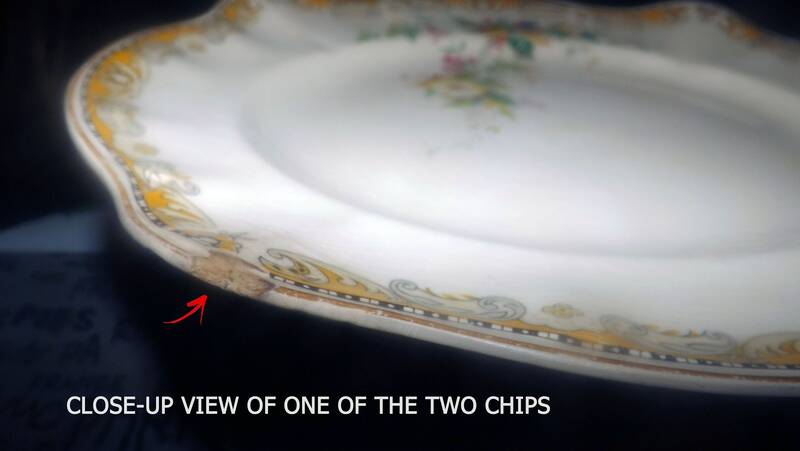 other chips, nicks or fleabites and NO! 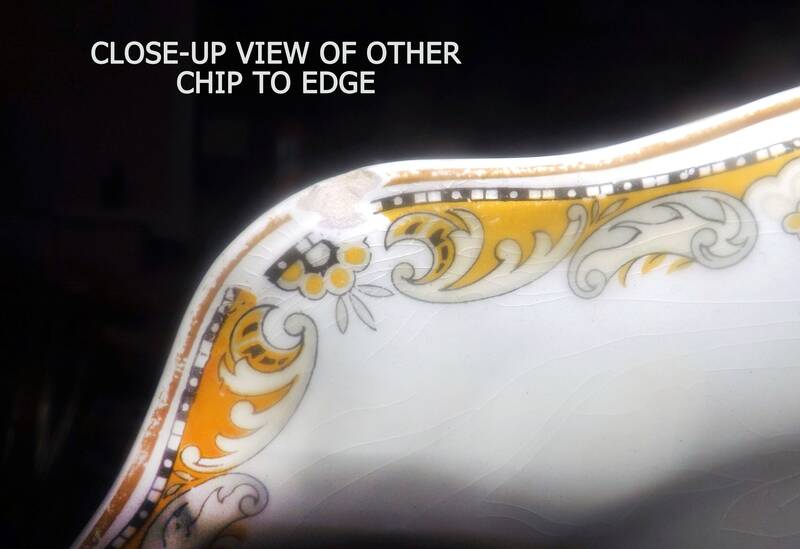 cracks, The platter shows MODERATE! crazing (for its age) and wear to the hand-decorated mustard edge and florals. 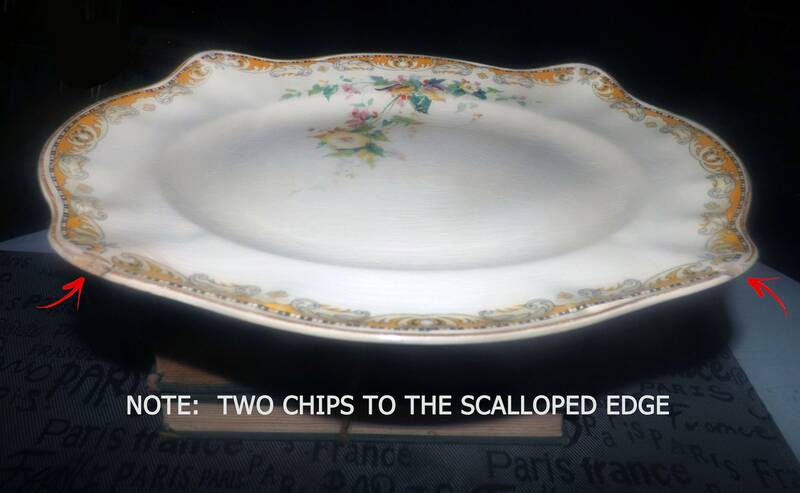 Approximate measurements: 11-1/2" x 9-3/4" in diameter (measured edge to edge across the front) with a scalloped mustard edge.